promotional materials for the Cosmic Connection. Francine Braese presents OZ with birthday cake; Gypsy Jay looks on. (no, not quite!) that I blew out with a wish. was snow on the ground. my first snow of the year. Brr! Sorry not to have written another entry since getting back from the Parliament. I’m getting back to normal life here in Salem. The biggest news is that my friends Jimmy Clark & Francine Braese have been putting together an extravaganza party for me here in Salem, for only a week from today! These are the wonderful folks who already put on a couple of successful fundraising events in PA before I came to Salem. On Oct 5, we did an all-day filming session at the labyrinthine country home of my old friend David Donohue, for Jimmy’s Tarot music videos of “The Emperor” (David) and “The Hermit” (me). After the last scenes were in the can, we were treated to an awesome theatrical fire performance by Gypsy Jay. Danielle Tracey: Local Pagan Artist contributing a Live Art experience. Gypsy Ravish: Salem Priestess & Witch, owner of Nu Aeon store, Recording Artist. Katrin Chapman: Songwriter, Singer, Musician, Recording Artist. 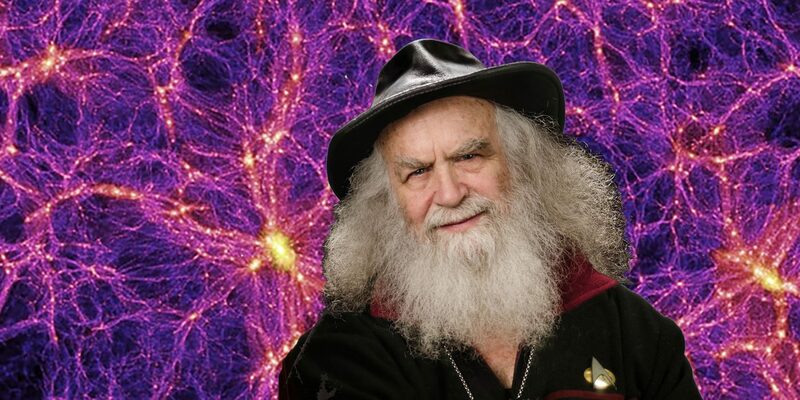 Simon Deacon: Wizard and VortexHealer®. Andy Burke: Local Pagan Drummer & Puppeteer extraordinaire. We’re also working on the project that Gypsy brought me out here for: opening the Cosmic Connection Temple of Stars – a Witches’ Planetarium. This amazing chamber was conceived and created by Gypsy’s late husband, Richard (Master Azaradel). We are developing an experiential “star walk” and “Mystick Crystal Activation” for visitors coming here on a magickal pilgrimage. Our first prototype tour will be tomorrow, for a bunch of friends who showed up today who are part of my own magickal training lineage with the late Deborah Bourbon, of Pathways in St. Louis. In my 76th year of this incarnation, with everything I own placed into storage, I decided to go on an indefinite Walkabout. My Mission is to travel around the country making personal visits with old and new friends and lovers, interspersed with book-signings and talks at Pagan stores and gatherings. Previously, people who wanted to meet me had to come to me. Now I’m coming to you! (or at least to a Pagan venue in your neighborhood). I hit the road on June 15 of 2018. After many adventures in California, Reno, Las Vegas, Austin, Guatemala, Salt Lake City, Omaha, Kansas City, St Louis, Cincinnati, numerous places in Pennsylvania, and NYC, I arrived in Salem, MA on Oct. 10, in time for Samhain. I attended the Parliament of the World’s Religions in Toronto the first week in Nov., and I’ll be based in Salem through the winter, working to open the Cosmic Connection Temple of Stars, before heading off on the eastern and southern part of my journey (including several big Pagan festivals) in the Spring. I am being supported on this Walkabout by appearances, fundraising events, and generous donations, particularly via my Patreon page: https://www.patreon.com/oberonzell. This is the 5th day of the Parliament of the World’s Religions in Toronto. Gypsy and I are having an amazing time! Connecting to so many people; fantastic workshops and panels, but even more significant are the conversations we get into with folks sitting around in the little conversation areas scattered throughout the convention center. Laney Goodman and her Mother Drum presentation invited Gypsy up onstage to sing with them–invoking the Four Elements, engaging all to drum and chant, blessing Mother Earth and the work of the Parliament. Their company included Imani, ALisa Starkweather, Kathleen Rouleau and others. Much of the programming has to do with dealing with global climate change. But there are a lot of programs about women in religious leadership, including a panel on Priestesses, with Selena Fox, Dierdre Pulgram-Arthen, Angie Buchanon, Inija (Romuva HPs from Lithuania) and other Pagan Priestesses. Dierdre even gave a presentation on the main stage of the Plenary, where many individual religious leaders made short speeches. There was also a gratifying amount of talk about the Goddess–particularly Mother Earth. Various indigenous American tribes were represented in a continuing series of talks by Elders in the large constructed Longhouse and tipis, and they were all about Mother Earth, Mother Nature, etc. All were extremely concerned, sharing warnings about the dire fates of the 4-legged, 2-leggeds, and their ancestral lands, urging us to act now to stop the tides of destruction that threaten all life. At one presentation by indigenous people on prophecies of this time, I got to make a statement that in my travels throughout the world, I’ve spoken to indigenous shamans and elders of Australia, Peru, Guatemala, Hawaii, Siberia, North America, Nigeria, etc. And from all these conversations, a single word has emerged that I felt commissioned to bring here: “Awakening.” This is the Time of the Awakening. And all agreed enthusiastically. At 4:30 in the afternoon, we had a “flash mob” spiral dance, chanting “Isis, Astarte, Diana, Hecate, Demeter, Kali, Inanna.” The spiral opened into a snake dance proceeding up and down escalators, throughout both convention halls, and we were joined by many others, including Sikhs, Hindus, Buddhists, etc. Last night Belladona and her ATC crowd took us back to their B&B for a fantastic home-cooked dinner and conversation that is going to have significant results down the line…stay tuned! Today Gypsy and I will be meeting with Margaret Atwood, author of “The Handmaid’s Tale,” and the meeting will be filmed by a company that’s doing a documentary on her. It was great to finally meet Silver Ravenwolf, as we’ve had friendly communications for nearly 30 years—since she created the WPPA (Wiccan/Pagan Press Alliance), for which Green Egg won numerous awards back in the ‘90s. But we’d never actually met face-to-face before last night! She was delightful, and told me about her current book project about the PowWow tradition. 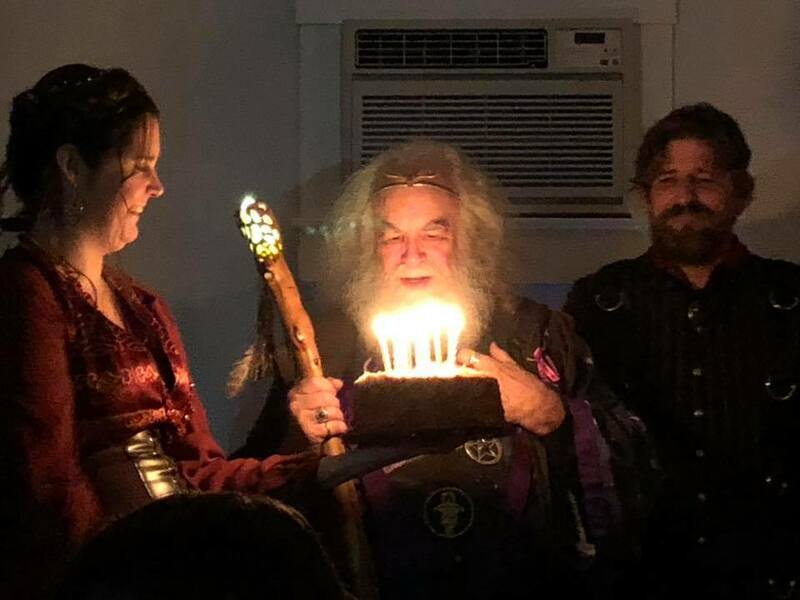 The event concluded at midnight with a moving toast to both Morning Glory and me for our life’s work for the Pagan Community. The degree of honoring was really overwhelming. By the time we got everything broken down and packed into the car, dropped off the photographer, and got back to Kim’s house, it was 2:00 in the morning. Kim made us all some midnight munchies, and it was 3:am when I finally crawled into bed. We all got up late, Kim made coffee and breakfast, I got caught up with my email and messages, and musician Jimmy Clark and I had a long business meeting around his doing awesome covers of Gwydion’s songs. His main current project is an ambitious creation of music videos for each of the 22 Tarot Major Arcana, and he’s recruited me to portray “The Hermit” (#9) which we plan to film at David Donohue’s place in Barto, PA, on Oct. 5. Tonight is the big bash that Kim is throwing in my honor from 6:pm-midnite with her store, The Order of Avalon. 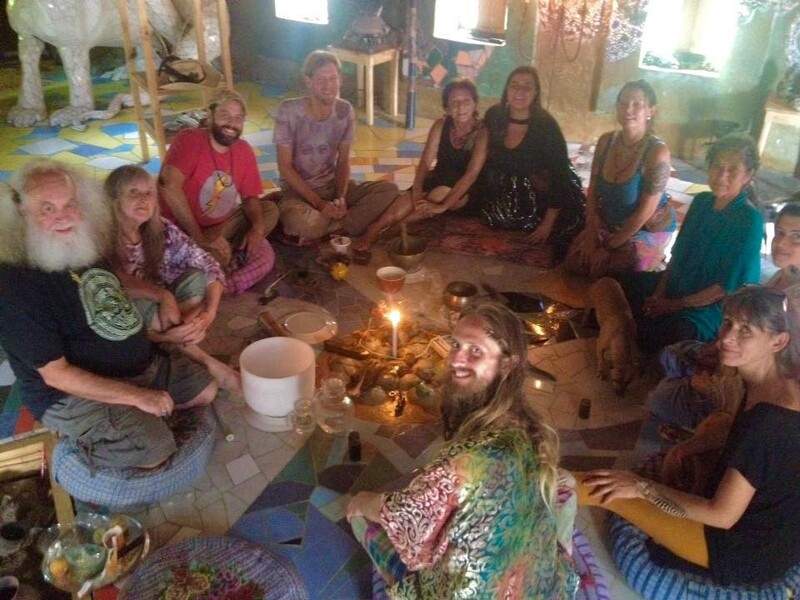 It’ll be at a beautiful farm in Lebanon, PA. Musician Jimmy Clark has done an amazing job planning and coordinating the program, which includes pot-luck feasting, book-signing, Mabon ritual, group meditation, music & dancing with three bands, fire-spinning, raffles, auction, and a talk by me on “The Awakening”… The Press will be covering it, with photos, video, and maybe even a drone. So far over 100 people have said they’re coming, including Silver Ravenwolf. This should be amazing! Thursday I received a much-needed massage from Neil, one of Maedelyn’s housemates, who is staying there recovering from cancer surgery. Also living there is Will, Maedelyn’s long-time paramour, and Littlefox, who helps with housekeeping, cooking, etc. A delightful group household, much like MG and I used to have at RavenHaven and Shady Grove. According to Wikipedia, “The book purports to be a manuscript dictated by a strange being named “I-Am-The-Man” to a man named Llewyllyn Drury. Drury’s adventure culminates in a trek through a cave in Kentucky into the core of the Earth. Ideas presented in Etidorhpa include practical alchemy, secret Masonic orders, the Hollow Earth theory, and the concept of transcending the physical realm.” The book spawned a cult following, and was translated into seven languages. Thursday evening we binge-watched the first half-dozen episodes of “Strange Angel,” a superb miniseries about Jack Parsons (1914–1952), early rocket scientist, founder of JPL and the entire US space program, and a Thelemite occultist whose involvement with Aleister Crowley, the OTO, and L. Ron Hubbard is well-known in Pagan circles. Parsons died in a mysterious explosion in his lab on June 17, 1952. I spent all day Friday driving nearly 500 miles to Kim’s house in eastern PA, arriving in time for dinner and a fun evening hanging out with Kim, her partner Shawn, Jimmy Clark, David, and “Mom.” Jimmy and David were rehearsing the music for the bash, and Jimmy played me some of the songs he’d already recorded for his ambitious Tarot Trumps project (for which he wants me to play the Hermit for the video), and a number of his fabulous covers of Gwydion’s songs. To the one I’m meant to be.